Escape to This Kodaikanal Homestay In A Pear Orchard With Your Squad. It'll Only Cost INR 1,500 Per Person! A charming getaway nestled in the middle of a pear orchard, Whispering Waters Homestay in is for all those weekend getaways with the squad. Plus, the three cottages come a view of the Kodai hills. It's the perfect getaway for people looking to vacation in big groups. Three cottages, with rooms that are rustic in every sense, from the stone walls to the oxidised red floors, are for you and your entire clan to book. Each cottage comes with double beds with extra space to add two additional beds, so folks travelling with the kids or parents, there's enough space. In fact, a grand total of 12 people can check in here, so in case your squad size more than eight people, you can book out the entire cottage. Since Kodai can get chilly during the night, feel free to use the fireplace that’s provided in the cottages. Attached bathrooms come with 24-hour hot water and the sun decks are perfect for lazing around. Oh, and if there are couples in your group, tell them that the cottages are tucked away in corners and offer plenty of privacy, should they wish for some alone time. Feast on homemade meals from the restaurant that’s inside the property before you head out to explore nearby attractions. Kodaikanal Lake is just 10 minutes away from the property. Network issues are big here and there’s little or no connectivity. You’ll have to go to the town if you need any kind of cell reception. But you are on a vacation, so chill out and enjoy that breezy Kodai weather. 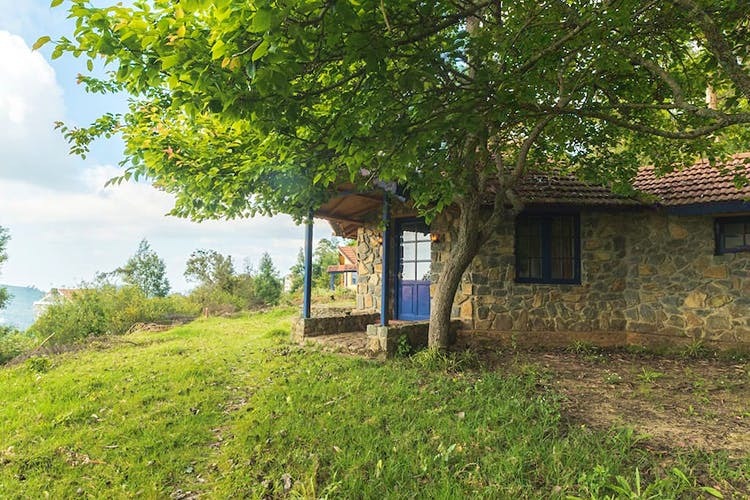 Book the entire cottage as at the time of publishing this recommendation, the quoted price on Airbnb was at INR 18,000 for 12 people, which is INR 1,500 per person per night. Plus, bonfires can be arranged in the evenings on request!